When changing wheel sizes, final drive ratios or Speedo clusters it is essential to make sure the speedo cable worm and drives are correct for the car. There are many combinations available, some work better than others, but one which is suitable for the application can usually be found. 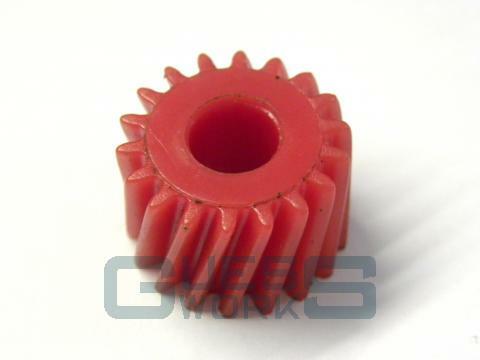 This is for a single pinion drive gear with 18 teeth which can be pressed onto your existing pinion gear shaft after removing the old one.